Rinnai is a manufacturer of furnaces and furnace components used primarily for residential purposes. You may have a Rinnai heat exchanger in your water heater or furnace: the heat exchanger is the portion of the furnace that passes the heat created from burning gases into the air or water while keeping exhaust and unwanted particles away from indoor air. These heat exchangers may experience leaks due to poor air flow and other reasons. Exchangers leak because they crack. A heat exchanger is made of durable metal fins designed to channel heat, but they cannot withstand certain forces, especially the contraction and expansion caused by sharply changing temperatures. As the exchanger warps, the metal becomes vulnerable to any flaws in its construction and can crack along them easily. The primary cause of exchanger cracks, and the leaks that they cause by letting condensation flow into the furnace, is overheating. The Rinnai furnace must pass along the heat it creates throughout the house. 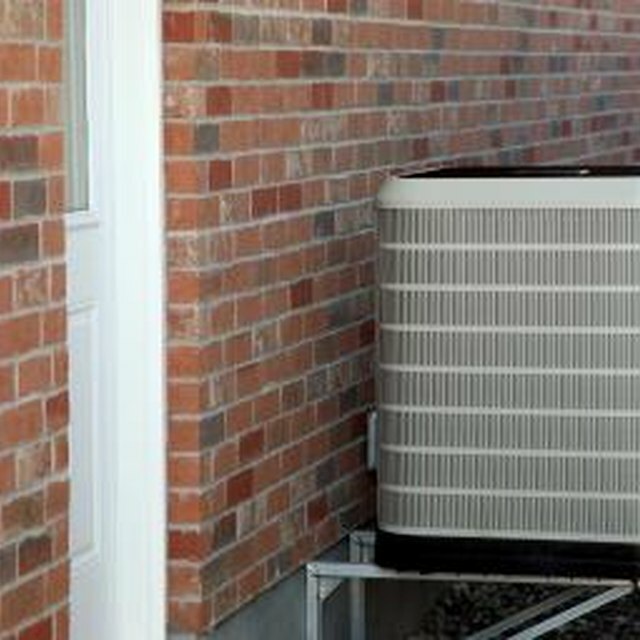 If the vents are blocked, the air ducts are too small or the furnace is over-sized, too much heat will be created for the exchanger to handle, pushing it beyond its limits and creating cracks. Your Rinnai heat exchanger is buried inside your furnace or water heater. You probably have a primary and secondary heat exchanger in the same unit for greater efficiency. If possible, take out the blower in your furnace and open access to the top of your exchanger. Then, spray a mixture of light oil and water along the top and inspect the inside of the exchanger for any of the mixture that may have leaked down. If you are using a Rinnai water heater, Rinnia suggets looking for scale that has built up on the water side of the exchanger, which can indicate potential for cracks, as well as any exchanger hot spots that indicate uneven heat distribution. Professionals have a number of tests that they can perform as well. If a leak is found in your heat exchanger, the next step is replacing the component. Heat exchangers cannot be fixed like other parts of your furnace. If you have a Rinnai system, make sure you order the correct model number from the Rinnai website or a contractor that had experience with the correct products. Rinnai may offer warranties for the heat exchanger even for older models, paying between 50 and 10 percent of the price for a replacement if the exchanger fails between the 6th and 10th years of use.